Help name the ‘Jac’ DVD set! Are you feeling creative today? The ‘Jac’ DVD is on the way…but I am stuck on the name. What would you name this DVD set? The goal is to have the set available in April in DVD form including additional footage that has never been aired. Brick by Brick…. give yourself the gift of confidence on the ground and under saddle. 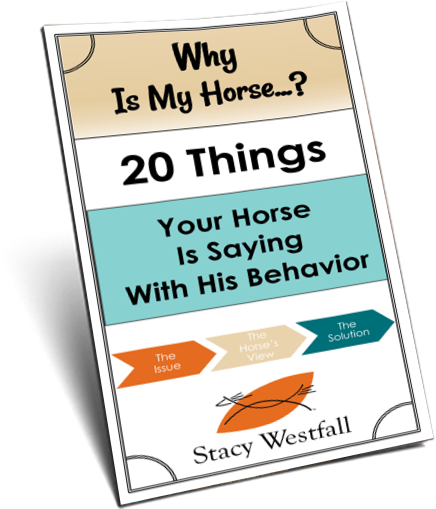 Giving your horse his answers. 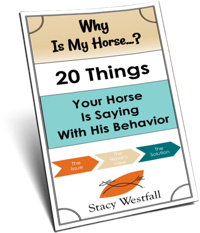 Learning from your horse. Training my horse. The work and bonding. Jac’s Journey-Roxy’s Legacy, with Stacy Westfall. Play with fonts and vering word sizing within the title. Stacy, you are the only woman in the world to be crowned a world champion at colt starting. You should make the most of it. The title on the DVD’s needs to get the attention of those who have never heard of you, Jac and dear Roxy. World Champion is a perfect attention getter and two very descriptive words to sum-up how brilliant and informative you are. Please don’t be too shy to use the title you so deserve. Jac’s first ride! Follow Stacey Westfall in this “In-Depth” step by step colt starting video series. Training a yearling featuring Stacy Westfall and ” Jac”. No matter the name, it will be great! I’ve been following the series on your blog, but am chomping at the bit for the DVD set! Then in the side space; The Legend Continues! Dear Stacy, this is no time to be humble. I do believe you have officially been crowned a World Champion of colt starting. “Colt Starting With World Champion Stacy Westfall”. Mary’s suggestion of “Building a Bridleless Foundation” should at least be added to the features list. I also agree that the hours is important, also the words “real time”. You have one picture repeated, the second photo could be replaced with you long raining, working with the ball etc. I hope Weaver Leather get there logo on there somewhere too. Here’s my take on it: Stacy and Jac ~ From Zero to Hero, Foundation for success! Stacy and Jac: A year of training lays the foundation for a lifetime. You’ve hit the JACKPOT !!!!! !